Whether you are a child or a full-grown adult, having a birthday party thrown for you can always be a meaningful memory. So if you are thinking of hosting another birthday for yourself or for another person, you can start planning for the event by selecting a party theme that will be used on your birthday invitation cards and for the event venue decoration itself. 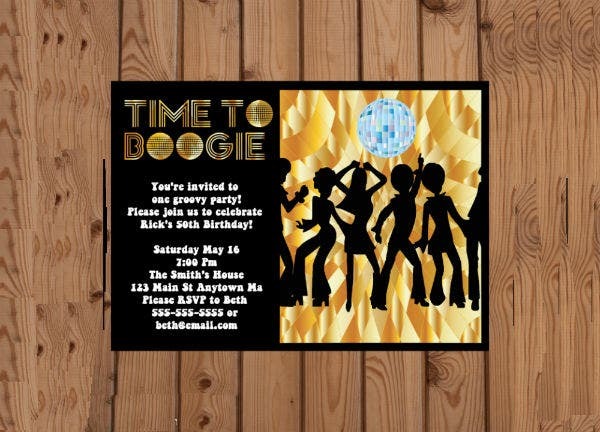 In this article, we provide multiple examples of printable birthday party invitation samples that anyone may use for any kind of birthday party you wish to have. Various tips on how to choose and decorate your printed birthday sample invitation cards are also provided below. To help inspire you in creating the best birthday party invitation cards for your planned birthday bash, we have embedded thirty birthday party invitation card templates below. All these pre-made templates are ready to print and are available either as Adobe Illustrator or Photoshop template files. Make sure to have a compatible software program installed on your computer before downloading the template of your choice. One of the most important aspects of planning a birthday party is the creation of birthday party invitation cards. These printed cards need to be sent out to your guests well before the birthday party event. This ensures that the guests know the party details and so that they will have an idea of what the birthday party theme is and how they can better prepare for the event. Also, a birthday party invitation card’s design will help set the tone for the event and help entice guests to really attend and spend a fun day with the host or the person celebrating his or her birthday. This is why if you are thinking of making your own birthday party invitation cards, you need to make sure that your invites stay true to your party’s theme and your own personality. To help you do that, you can choose between two main card-making methods. Written below are brief descriptions of how to create a birthday party invitation card using two different card-making methods. Read them carefully so that you can best think about what card creation strategy you can follow. You may also see party invitation templates. The first card-making method relies on the manual creation of invitation cards. In this method, you will be using handmade card designs and your own crafting materials to create your own party invitation card. This approach gives you all the creative freedom that you need since you will be making the invitation card from scratch. A disadvantage of following this card-making method is the length of time it may take to complete a single handmade birthday party invitation card. If you want an elaborate invitation card design, you may need to invest a lot of time in handcrafting just one card invitation card. You will also be at a greater disadvantage if you are thinking of creating multiple party invitation cards as these handmade cards can take a lot of time and effort to create. Despite these issues, there are still workarounds that anyone can follow if they still wish to follow the handmade birthday invitation card-making route. One workaround is to delegate and divide the card-making task among a lot of people as this can help shorten the time it needs to create a handmade invitation card. Also, another workaround is to start making your handmade invitation cards way earlier. For example, if you are planning for your 30th birthday party, make sure you start handcrafting your birthday invitation cards at least six months ahead. This gives you more time to manually make more invitation cards before the birthday celebration event. 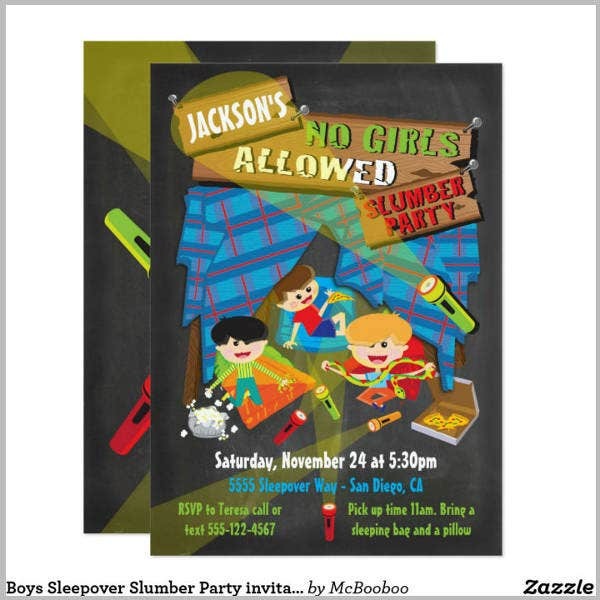 The second invitation card-making method is the use of pre-made printable templates. These templates are digital files or documents that are pre-formatted with different graphic design elements, text, illustrations, and/or image placeholders so that all you (the end-user) have to do is to replace the placeholders with your own party details and then you can start printing out the pre-made templates. Yes, it is that easy. Printable birthday party invitation templates are perfect for those who are on the go and do not wish to bother with the nitty-gritty of handmade invitation card-making. 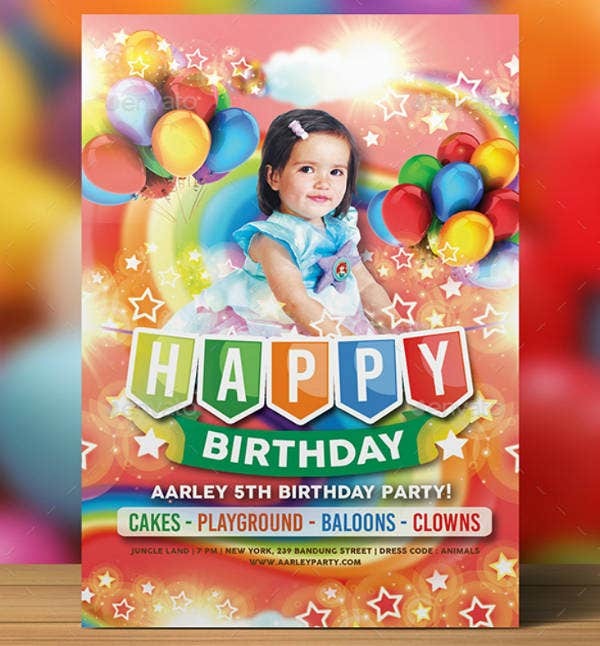 Most birthday party invitation card templates also come with well-designed visuals and layouts to make the entire invitation card more aesthetically pleasing. A major downside to using pre-made birthday invitation card templates is the need for the end-user to know how to use a graphic design software or editing software programs like Adobe Photoshop or Adobe Illustrator. 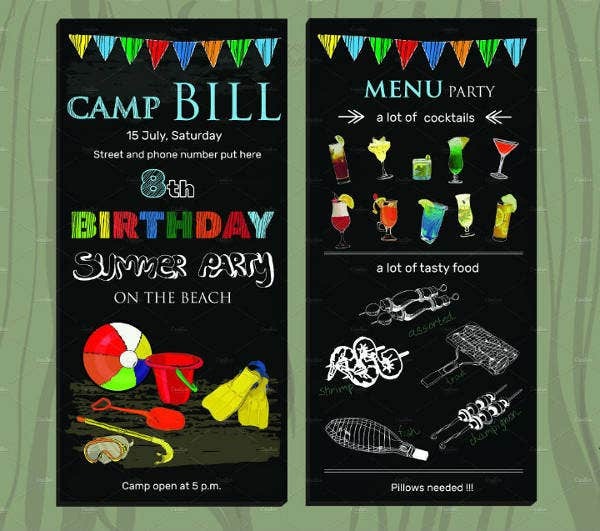 So if you are interested in using and personalizing the pre-made birthday invitation card templates for your birthday bash, it is best to learn how to use these software tools first before you purchase them. Nowadays, learning any editing software is made easier when you use free online Photoshop and Illustrator tutorials. So those are the two main methods used in creating a birthday party invitation card. Weigh in your options carefully and decide on what method or route to follow. Whatever card-making method you choose, do not forget to enjoy the process and just focus on having a good time. You may also see sample party invitations. If you have learned about the different invitation card-making methods and have chosen to use pre-made birthday party invitation card templates, read on below as we have outlined the different aspects that should be considered before you select and purchase a pre-made card template in PDF/Word. Carefully read and internalize all these factors so that you will have an easier time in picking out the birthday party invitation template for your birthday celebration. You may also see birthday invitation email templates. The first factor to consider when choosing between different printable birthday party invitation card templates is your own budget. Before you choose and purchase an invitation card template, it is best to factor in the total template cost, printing cost, and other party costs that you may have to pay for. This is especially helpful for those who are planning a DIY birthday party and those who do not want to needlessly spend a lot of money on party invitations. You may also see printable birthday party invitations. To illustrate, a particular card invitation template will need to be printed in a specific format in order to achieve its full look or effect. However, some printing formats will cost more. So if you are on a budget, you may opt to choose another more affordable friend birthday card template instead. By setting up a party budget and giving yourself a limit on what you could buy and spend for the party, you are more likely not to go overboard with your expenses. And if you want to learn how to create a budget plan, check out the linked article. The next factor to consider prior to buying a pre-made birthday invitation card template is your own graphic design skills. It is important for you to assess and determine your own graphic design skill level since this will play an important part in editing any card template that you will purchase. You may also see birthday party invitation designs. For example, if you wish to add your own photo or a business logo in your birthday party invitation card templates, you will need to know how to use graphic design software tools like Adobe Photoshop and Illustrator to do the job. By knowing your skill level, you can accurately choose what specific type of invitation card template file format to choose. Also, if you are not confident in your editing skills, you will have more time to learn different Adobe Illustrator and Photoshop tutorials. Or, you can find someone else in your family or office to do the template editing for you. 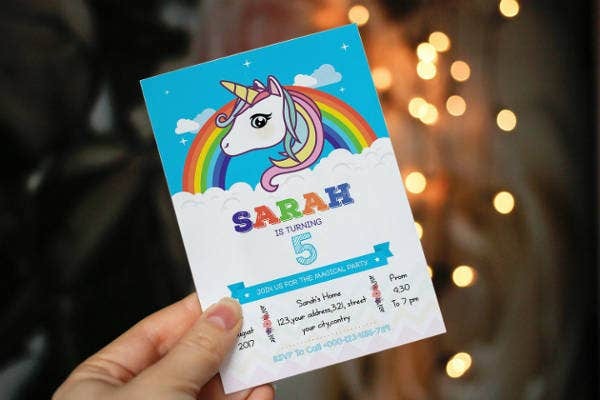 In connection to the previous factor, finding out a template’s built-in customization options is another factor that you should consider prior to purchasing and downloading a birthday invitation card template. As the event host and the template’s end-user, it is important to know if an invitation card template is fully customizable or not especially if you want to make a few customizations to the template. You may also see birthday party invitation samples. 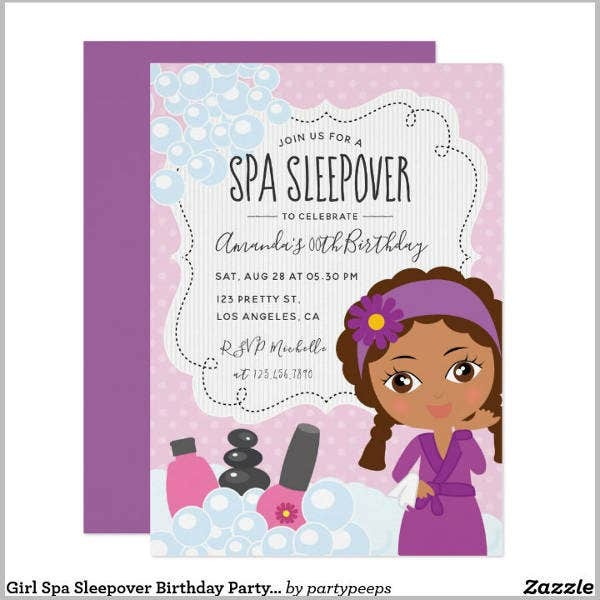 To illustrate, if a birthday party invitation card template is only available in EPS or JPEG format, it can be difficult to edit and add new graphic design elements to it without affecting the template’s quality. 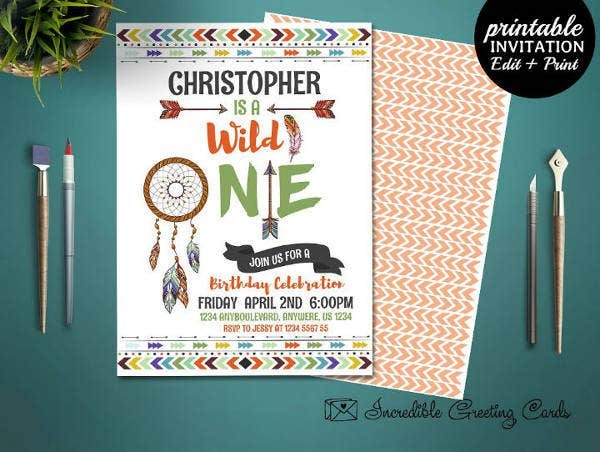 That is why, if you want to make the most out of any given printable party invitation card template, you need to have full access to the template’s customization options. 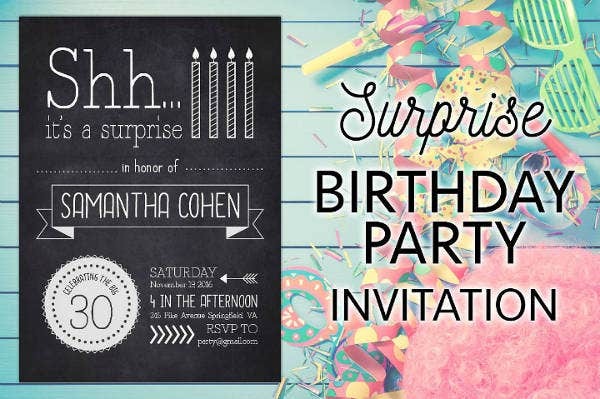 Most often, birthday invitation card templates made using Adobe Photoshop, Illustrator, and InDesign will offer this flexibility in customization. Another factor to consider when selecting a birthday card invitation template is your party theme or motif. For example, if you are hosting an 18th birthday party, you can follow ballgown theme, disco party theme, or whatever floats your boat. Your birthday invitation card templates should match this specific theme; otherwise, your party will look dull judging from the birthday invitation card design alone and you will not entice people to attend the party. Remember that your party’s theme should be the unifying force of all the design and decorative elements in your party. When done well, it will help create an identity for the event and can also help your guests feel more comfortable during the event. 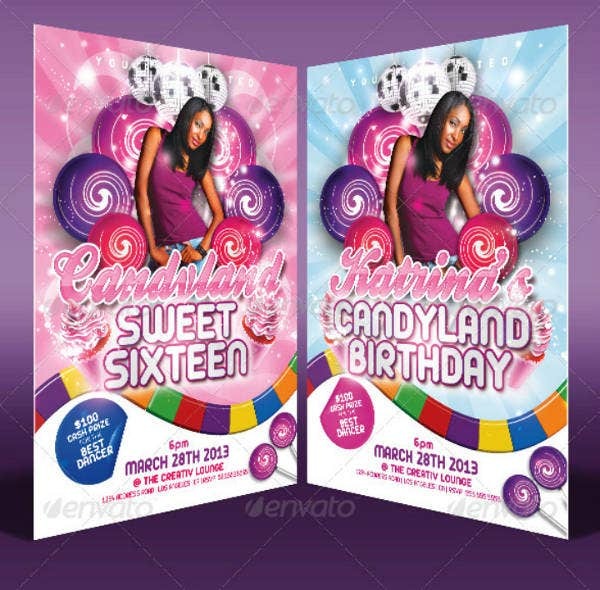 You may also see Candyland invitation templates. 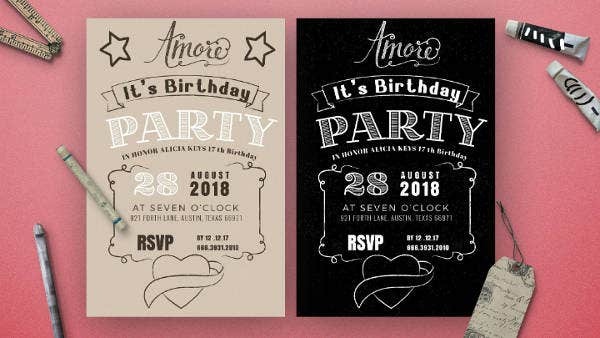 The next factor to consider when choosing a birthday party invitation card template is the kind of graphic design software you have already installed on your computer or device. 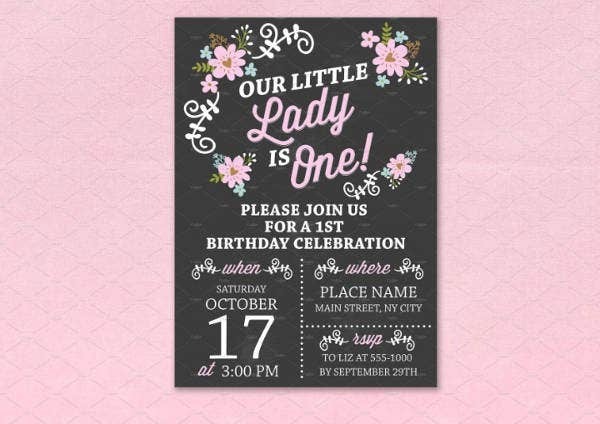 To illustrate, if you have Adobe InDesign installed on your computer, you will need to use birthday invitation card templates that are available as InDesign template files. This will make it easier for you to open and then edit your chosen template after downloading them. So before you click that purchase button, carefully check if an invitation template download file is available in the software format that you know your graphic design software can recognize and edit. You may also see teenage birthday invitations. Another important factor you birthday party event planners need to consider when choosing a birthday party invitation template is the amount of time they have before they need to use and send out the invitation cards. This is an important factor to consider especially for those who may still need to learn how to edit graphic design templates or for those who have to create multiple birthday party invitation cards. By knowing the amount of time you have before you need to send out the invitation cards, you can accurately plan your course of action and set aside specific periods of time where you will only be focused on creating or editing your birthday invitation card templates. You may also see birthday invitation templates. Are You Ready to Have the Grandest Birthday Party? Do not waste any more time looking for other birthday invitation card templates. We have curated the best of these templates in this article so choose any free party invitation template that you like, download them right away, and prepare for the grandest birthday party celebration that you will have. And if you wish to refer back to this article for another person’s birthday in the future, do not forget to bookmark this article. You may also share this article with your friends on social media so that they, too, will have a fun and memorable birthday parties.